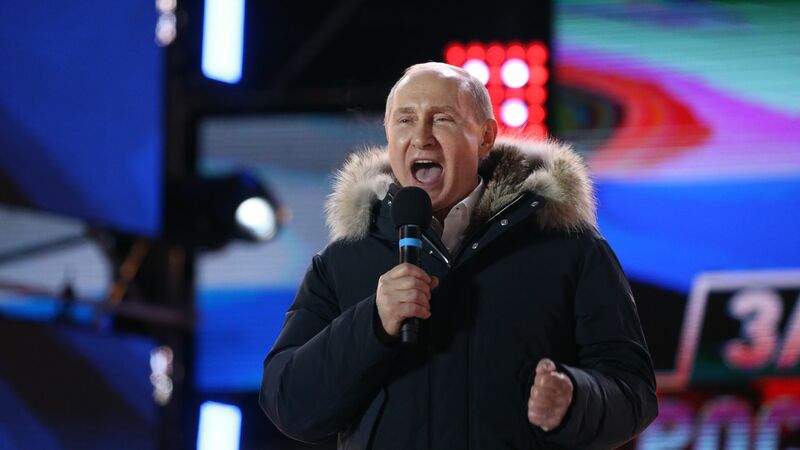 Vladimir Putin cruised to victory in Russia's presidential election Sunday, gaining 76.7% of the vote in a contest widely condemned for ballot stuffing and a lack of genuine competition. Nonetheless, leaders around the world have publicly and privately congratulated Russia's strongman as he embarks on his 18th year as head of state. Why it matters: Putin's list of congratulations give a window into the geopolitical state of play in Europe and around the world. It's worth reading into the language of the leaders who chose to reach out — and, perhaps more notably, those who didn't. United States: Trump spoke with Putin on Tuesday and congratulated him on his victory. China: Fellow strongman Xi Jinping sent Putin a congratulatory message, according to the state-run Xinhua News Agency: "Currently, the China-Russia comprehensive strategic cooperative partnership is at the best level in history, which sets an example for building a new type of international relations featuring mutual respect, fairness and justice, cooperation and all-win results, and a community with a shared future for mankind." France: President Emmanuel Macron congratulated Putin on the phone Sunday, despite tensions over the poisoning of Sergei Skripal in the U.K.: "In the name of France, the French president offered Russia and the Russian people his wishes for success with the modernization of the country on the political, democratic, economic and social fronts," the Elysee said in a statement. Germany: Chancellor Angela Merkel sent Putin a congratulatory telegram Monday: "Dear Mr. President, with all my heart I congratulate you on your reelection as Russian president. Today, it is vitally important to continue dialogue and maintain relations between our countries and nations. With this in mind, we should take efforts for constructive work on major bilateral and international problems to find proper solutions. I wish you success in your work to resolve the tasks facing you." Missing from the list: The United Kingdom. A spokesperson for Theresa May said it will issue a statement on behalf of the U.K. when the election has been assessed by the Organization for Security and Cooperation in Europe.